Historical Marker #985 in Johnson County remembers noted historian William Elsey Connelley. Born on March 5, 1855, on a prong of the Middle Fork of Jennie's Creek, Connelley received his earliest training from his parents. Overcoming a childhood described as "poverty-stricken," Connelley began his career as a teacher in Johnson County from 1872 to 1880. 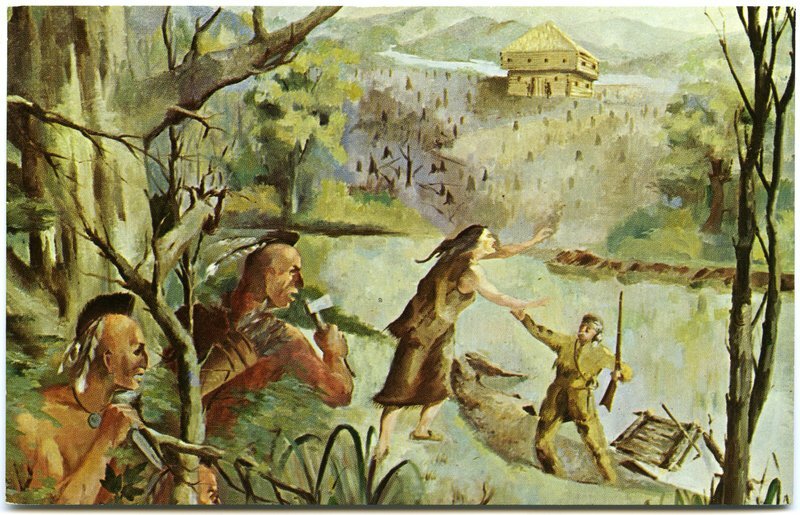 Connelley's interest in eastern Kentucky history started before he taught his first day of school, collecting information about the pioneers from the pioneers themselves. Connelley left Johnson County for Kansas after the death of his first wife in 1881. He taught school there before taking part in other business ventures. In 1911, Baker University in Kansas conferred a master's degree upon the self-educated Connelley. The degree was conferred, in large part, due to his writing. Connelley's reputation as a historian grew in 1912, when he was named president of the Kansas State Historical Society. Beginning in 1921, he served as president of the Mississippi Valley Historical Association for two years. Connelley was also known for writing numerous history books as an author and co-author. 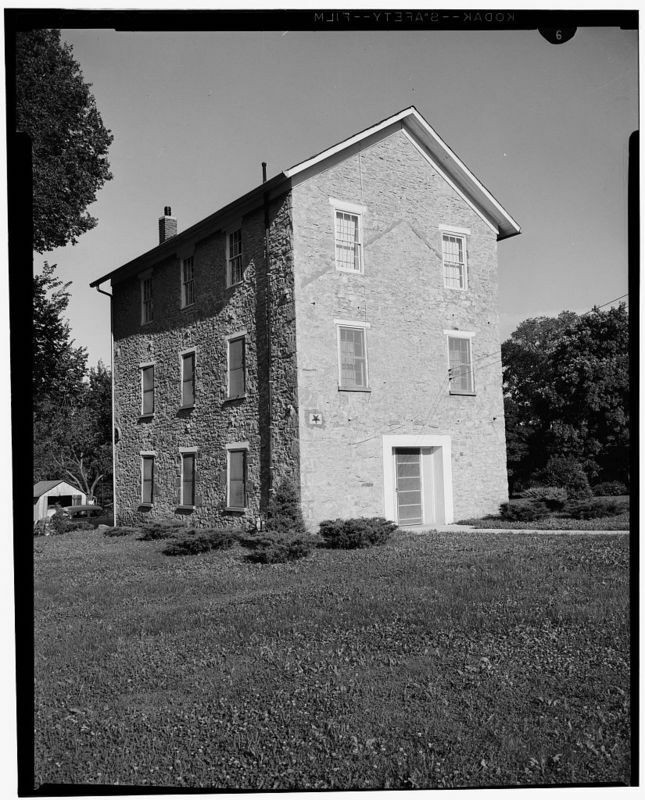 Among the expansive list are several histories of eastern Kentucky and Connelley's home, Johnson County. Besides histories, Connelley undertook extensive research in the study of several Native American tribes' language and history, including the only written vocabulary of the Wyandots. Connelley died July 15, 1930, in Topeka, Kansas as one of "the nation’s most respected historians." Baker University: Connelley received an honorary master’s degree from Baker University, shown here, in Kansas for his literary contributions to the field of history. Courtesy of the Library of Congress. 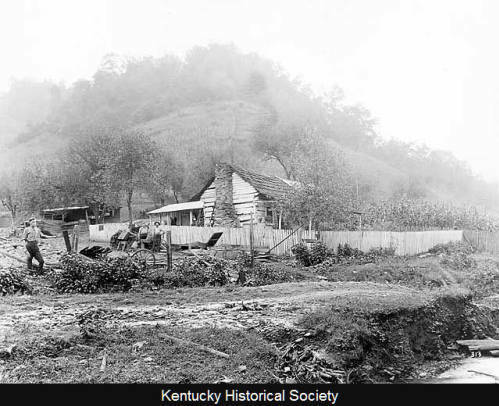 Mountain Cabin: Although this photograph shows a mountain home in Letcher County, historian William E. Connelley likely grew up in similar circumstances in Johnson County. Courtesy of the Kentucky Historical Society. 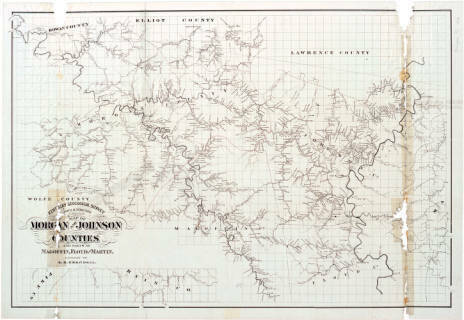 Johnson County: This map, which shows part of Johnson County, was made about the time that Connelley left Kentucky and moved to Kansas. Courtesy of the Kentucky Historical Society. Jenny Wiley: Connelley was born on the Middle Fork of Jennie's Creek in Johnson County. Jennie's Creek was named for Jenny Wiley, a frontier woman who escaped from Native American captivity. Courtesy of the University of Kentucky. McKenzie Martin, “American Historian,” ExploreKYHistory, accessed April 19, 2019, https://explorekyhistory.ky.gov/items/show/398.